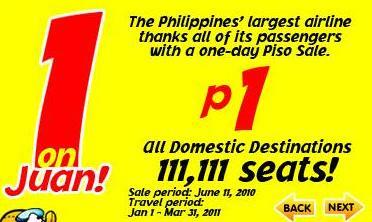 Last 11 June 2010, I bought round trip tickets when Cebu Pacific had a piso (1 peso) fare promo on all domestic flights (our flight from Manila to Cebu was not on sale but I was able to buy promo seats for our Cebu-Manila flight). I did not want to use my credit card to pay for our booking so I decided to pay thru Cebu Pac’s payment centers (BDO, MetroBank, Robinsons Bank, Bancnet, or Megalink). 2. Take note of the deadline (on or before 23:59H of the same day that you made your booking), the 14-digit confirmation number, guest names, and the EXACT amount of your fare. 3. Use BDO’s Payment Slip (the orange slip). 4. 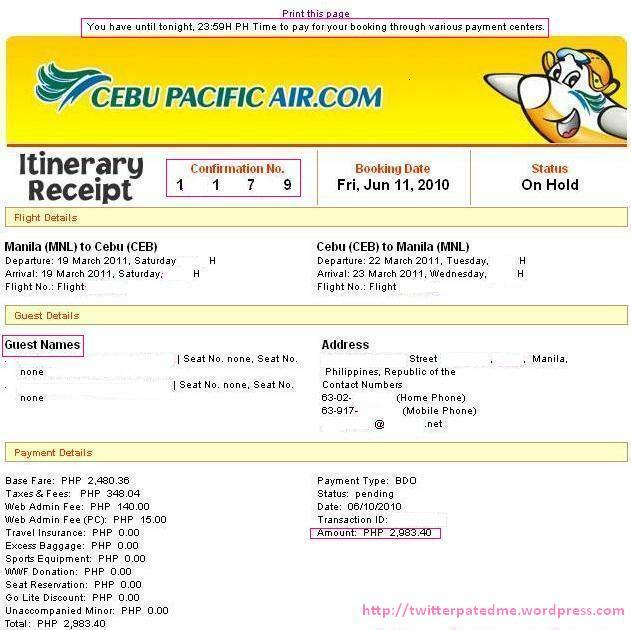 On the Company Name field, write Cebu Pacific (don’t forget to write the date on the Date field). 5. Leave the Institution Code and Product Code blank. 6. For the Subscriber’s Account No. field, write your 14-digit confirmation number. 7. For the Subscriber’s Name, write the name of one of the guests. 8. Write the cash payment breakdown. You must pay the EXACT amount in order for the transaction to get approved, otherwise, in cases of over/underpayment, the transaction will be declined. 9. 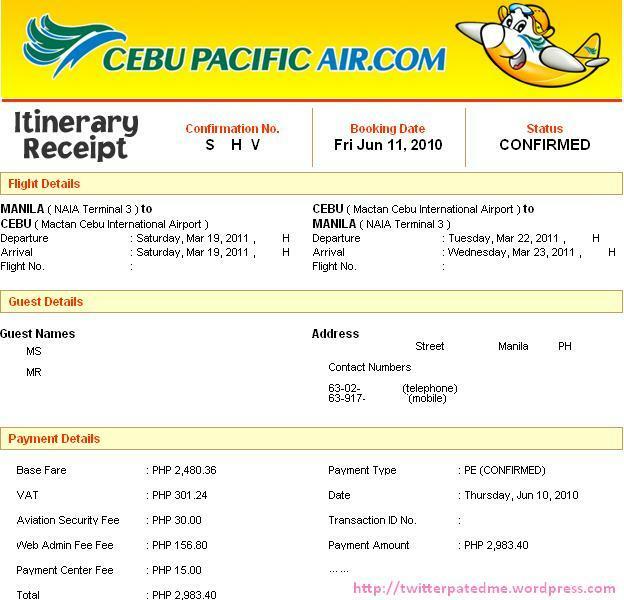 Once the payment is confirmed, Cebu Pac will email the final ITIN receipt. Today is my great grandfather’s 81st death anniversary. He may not be as popular as Jose Rizal nor Andres Bonifacio, but he fought for our country. And he fought for the Philippines using only his pen. A man so gifted in writing was Fernando Ma. Guerrero, son of highly educated parents: Lorenzo Guerrero, a notable painter and art teacher, and Clemencia Ramirez. He showed signs of a genius in his youth with facility for language. His father hired for him a private tutor for home education. He pursued and obtained the Bachelor of Arts degree from the Ateneo Municipal, and the Bachelor of Laws degree from the University of Santo Tomas. He joined the staff of La Independencia, a revolutionary periodical, and wrote incisive articles and editorials in beautiful Spanish – making it the most dynamic and influential Newspaper. He was appointed secretary of the Supreme Court by General Antonio Luna. He wrote for La Patria and established his own paper, La Fraternidad. At El Renacimiento he was made City Editor, then later Chief Editor. Through the sheer power of his editorials this paper became outstanding. Guerrero was the major lyric poet before and after the revolution, until the introduction of English literature in our schools. Known as the “Prince of Filipino lyric poets” in Spanish, he also played the flute and guitar. In Spanish lyric poetry, he was unsurpassed by his contemporaries. His poetry, like a prism, sparkled with different color-tones; sometimes, it was musical like a tropical love song; sometimes, it was classically grand; sometimes, it was tinged with melancholia; sometimes, it was stirring with heroic grandeur. Guerrero was above all a national poet. 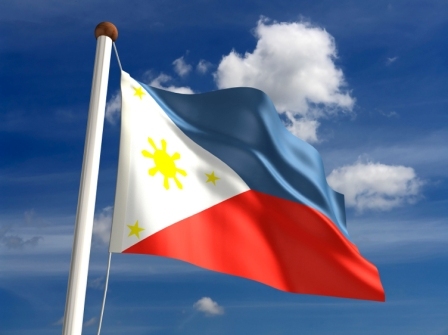 He felt and thought as a Filipino, lived as a Filipino and died as a Filipino. He loved the Philippines with passionate fervor, and in limpid and elegant Spanish, he sang the mountains and rivers, seas and forest, flowers and women, heroes and martyrs, and sunrises and sunsets of his beloved land. Politics attracted him, too. 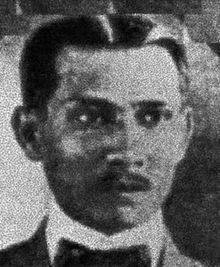 He became the Leyte representative to the Malolos Congress, and was elected deputado to the Philippine Assembly in the year 1907. He authored the first labor bills in the Philippines- ensuring workmen’s compensation, and the right of employees to form labor unions. Due to his nationalism, he became Secretary of the Independence Commission. Against libel suits filed by the American Constabulary, for a series of publication on documented abuses and killing in Cavite, Batangas, and Cebu, Guerrero win a court victory. Thus, El Renacimeinto rose to its greatest glory, which enhanced his popularity. Crisalidas was the title of his book of poems considered by Enciclopedia Filipinas as one of the ten best books o the Philippines. He stood in the frontline of the local golden era of Spanish literature for four decades since 1890. Fernando Ma. Guerrero – he came like a silent storm of brilliance, brightening the crown of dark night, when the country’s ship of liberty was sailing but began sinking. Or like a thousand flowers blooming in a riot of colors, as the country bide farewell to Spanish, as it faced its inevitable fate, and embraced the English language. Thousand of colorful flowers wilted when he died on June 12, 1929, with his death meaningfully falling on the anniversary of the Republic. 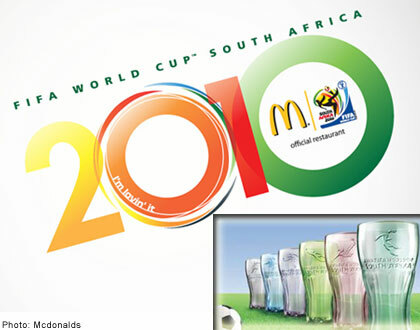 This morning, I saw a TV ad about McDonald’s souvenir item for the FIFA World Cup. And yes, it is Coca-Cola contour glasses again. 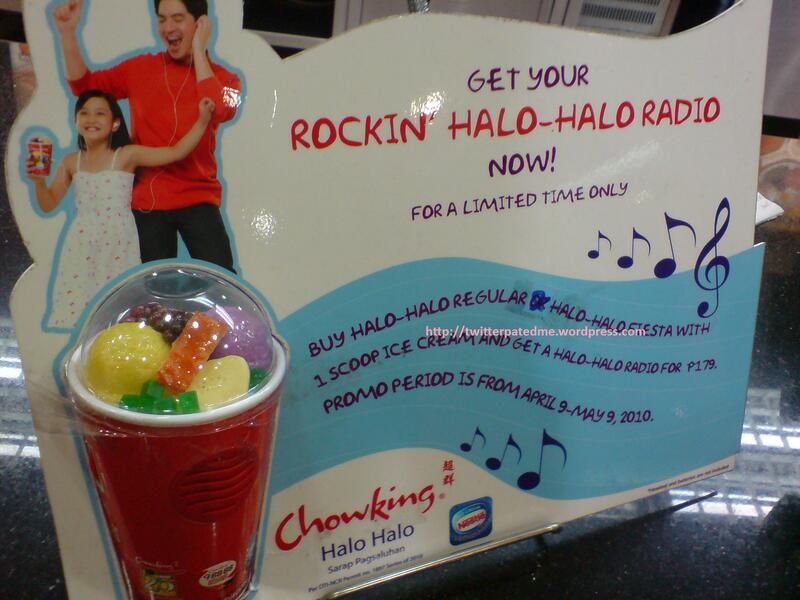 You just have to add Php25 (or Php20 — I can’t remember) when you purchase a McDo Value Meal. 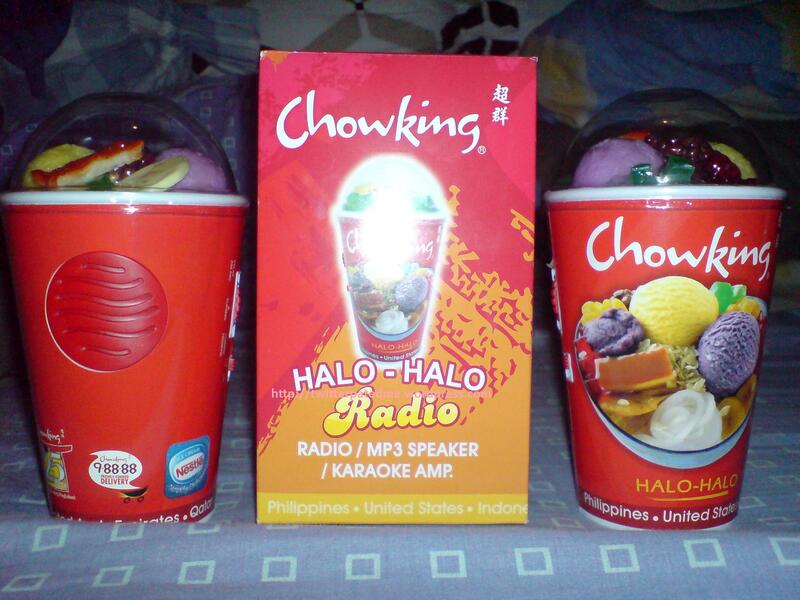 I am planning to buy the green glass since I did not buy that color last December 2009. I also have to buy a purple glass for my mom. She gave me her charcoal glass last year when I was having a hard time to get that color (purple is her favorite color).